Life of the startup CEO. What is it all about? Before I started LibDib I thought I had an idea but now…..I realize so many things have been picked up along the way. I listened to podcasts and read a ton, from blog posts to books (just finished The Upstarts last week, so good) on those who came before me. However, living it is completely different. My biggest asset is my team. Building a really great team is my main job. I’m leading a company that’s taking a chance on something new. We are changing the way an industry works. As CEO I need to inspire my team to accomplish that goal. Over the past two years, I’ve built an amazing team. They work so hard! We launched, we grew and now we are adding to the team. I’m always recruiting and spend a lot of time doing it. It’s a process to recruit. Luckily connecting with people is easier than the good ol’ days. We now have LinkedIn! I recently hired a Senior Compliance Lead (welcome Jen!). I’ve been talking to her for a year (that’s a lot of time in start-up world). We have a brand new Director of Finance (who also happens to be a Somm) starting next week. I’m always out there looking for the right people with experience in the beverage industry, but also an understanding of technology and a passion for doing things differently. For example, I was in NY a few weeks back meeting with suppliers, bankers and analysts, and one night at a speakeasy my colleague and I started chatting up a couple next to us. Low and behold, one of them ended up being a buyer at a restaurant chain in D.C. I told him about LibDib and well, now we have a lead in DC when we expand there. Moral of the story: I’ve learned to be open to whatever. Over the past few years I’ve talked to thousands of people, never knowing if it would lead to anything. I met people who have helped me open doors. Hopefully my chatty tendencies will lead LibDib to even more bigger and better things. As CEO, I will always find the time to work with our customers. I especially love talking to suppliers and helping them on all aspects of the business. After all, I used to be in their shoes when I schlepped my family’s wine. I have a soft spot for small Makers. I’ve been there and experienced the frustrations. I don’t tell anyone how to make their product or to change the packaging. I try to provide advice about some of the frauds in this business I have encountered over the years….like International shipping scams or companies that take huge sums of cash up front but rarely deliver on promises (like cases sold, for example). I’ve been duped by both. My advice is always this: find solid references for anyone that asks for a.) a big check up front or b.) a long-term contract that includes multiple big checks. Ask your distributor, buyers or other Makers for feedback. Get multiple references, doing your own research. This industry is very small and people are always willing to share success stories, or lack thereof. It’s important to me that LibDib can provide services that do not cost anything up front. Small and mid-sized producers have so much capital built into their production and inventory (ever heard that old joke about how to make a small fortune in the wine biz….start with a big fortune??). We have lots of valuable resources in the platform and via weekly webinars. I listen to the struggles of our Makers and revel in their success stories. Through them I’ve learned SO much about new products, trends, and I have met (and formed friendships with) some really great people. I love to write (I even wrote a fun little wine book way back when). My most productive writing time is in the morning. I am a mom of two kiddos. Now that school has started (YEEEEEEESSSSSSSS!! ), mornings are a little quieter in my house. I can get a good hour of strategic thinking and writing in before heading to the office. It’s a big job. But I love it (anyone have some suggestions for a good eye cream for that extra baggage I’m carrying??). And if you are a beverage industry person looking for a new gig in San Jose and hoping to work for a super dope CEO, drop me a line. 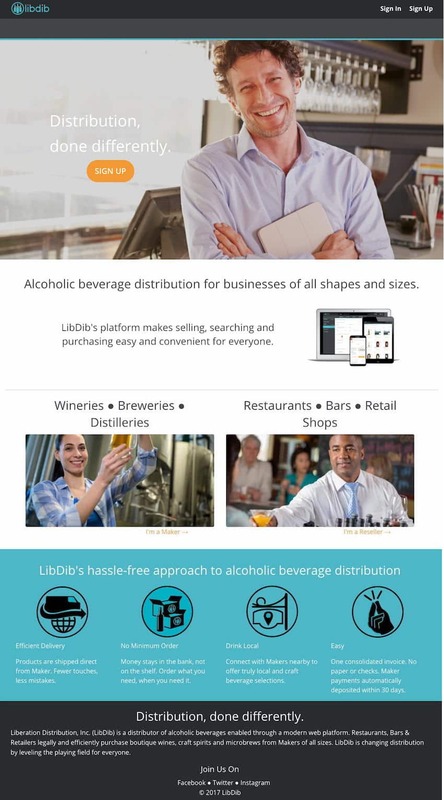 The Effects Of Recent Global Wine Mergers And Acquisitions On The IndustryI am LIVE on LibDib. Now What?? ?